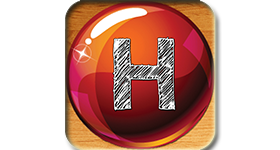 In this turn based game, you can play with a friend or against your device ( iPhone or iPad ). Your objective to collect as many points as you can. Each turn, you place one ball on the board. If you complete a line of balls, you get points for each ball in that line.